Library of Congress Photo Copper mining section between Ducktown and Copperhill, Tennessee. Fumes from smelting copper for sulfuric acid have destroyed all vegetation and eroded the land. This photo was made in September 1939. Staff photo by Ben Benton Local conservationists are worried erosion from a proposed logging project could cause significant damage to the environment along Tumbling Creek, a trout stream in the mountains west of Copperhill, Tenn. Members of Tennessee's chapter of the Sierra Club hope to get the U.S. Forestry Service to stop or scale back the project. Conservationists say trees along the stream include massive hemlocks, beech trees, mountain laurel and rhododendron, as well as other hardwoods like oak, maple and hickory. A half-century ago, orbiting astronauts could discern three landmarks on Earth: They could make out Mount Everest, the Great Wall of China and the 50-square-mile red desert that then was Copperhill, Tenn.
At ground level, the view was even more stark — a copper-colored, completely barren moonscape along both sides of the highways that connected Tennessee and Georgia to the North Carolina mountains. There wasn't a tree, a bush or a blade of grass. Just a sea of undulating red dirt where corrosive acid runoff spread with every rain and breeze into creeks that ran to the barren Ocoee River. It was the legacy of more than 100 years of copper mining and smelting. By the time the astronauts saw it, the smelting had stopped and vegetation had been creeping back along the far edges of the red desert for some 30 years. That's how long it had taken for even the least-damaged soils of the Copperhill region to regenerate. Now, a proposed logging plan called the Dinkey sale project in the Cherokee National Forest in Polk County, Tenn., has conservationists worried once more about the upper waters of Tumbling Creek, a sparkling trout stream that winds through hemlocks and beech trees about 10 miles east of the old mining site and the town of Copperhill. Well over 1,000 acres of regrown forest would be cut — some clear-cut, some cut to leave just five or six trees per acre. There also would be at least 700 acres of prescribed burns. Much of the area in question is on steep slopes and sensitive soils. If past Cherokee National Forest logging history in the Copperhill region is any indication, regrowth would be iffy, and severe erosion would be a good bet. Davis Mounger, a Chattanooga resident and the national forest chairman for the Tennessee Chapter of the Sierra Club, is among those who think the U.S. Forest Service can find other timbering sites far more suitable than the steep, fragile slopes above this important creek. It's time for Forest Service officials to "slow down and see what's working and what's not working" in logging, said Mounger, who also is co-chairman of Tennessee Heartwood and the Heartwood network, a multistate group. Mounger and others concerned about this proposed timbering project call attention to another nearby Cherokee National Forest cut called the "Island Creek/Hogback sale" on Sylco Ridge several years ago. That site, they say, remains a "disaster" where, topsoil has eroded down to the chert layer. What little regrowth has occurred over a number of years consists of sumac, maples, poplars, blackberry, buckthorn and other scrub — not the oak, hemlock, hickory, beech and redbuds of a healthy Appalachian forest. Forest Service officials counter that their timbering work combines routine logging with efforts to remove species not characteristic to the area — such as stands of white pine — and replace them with characteristic species. Removed trees can be a commercial benefit to the community, and replacing them helps replenish original species. There's merit in that argument, too — one which Mounger and the Heartland understand and appreciate. But they say making it work requires patience, planning, study, and, most importantly, follow-through. That's where the Forest Service has sometimes failed, and that's what is worrisome to those concerned about the Dinkey project. Sam Evans, national parks and forests program leader for the Southern Environmental Law Center in Asheville, N.C., sees this as an opportunity for conservationists and foresters to work together. He says the Forest Service is changing and groups like the Sierra Club, Tennessee Heartwood and Heartwood are in position to join in a new age of public lands management. Evans said the Forest Service is evolving from a crop management approach to one of making the best use of the public lands it manages. He believes conservationists and the Forest Service are closer than ever to becoming teammates. That's what Mounger and Tennessee Heartwood are banking on. 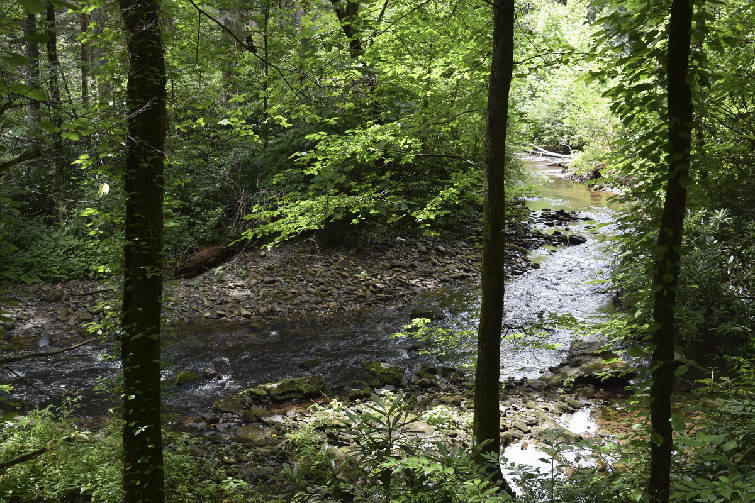 Joining forces last spring, three groups — the Tennessee Chapter of the Sierra Club, Tennessee Heartwood and Heartwood — wrote a letter to Cherokee National Forest district ranger Michael Wright outlining concerns about the proposed Tumbling Creek work. "Those who have legal standing to object, such as our organizations, have 45 days to do so. We plan to formally object and hope that they will withdraw or at least scale back considerably this project," Mounger says. The clock started ticking June 5 and time runs out around July 19. "We are concerned that what happened at Hogback will also happen at Dinkey," Mounger says. "To its credit, the [Forest Service] has added some mitigation measures that were not in the original proposal, but we nonetheless find them inadequate. We feel strongly that the supposed benefit to logging along the Tumbling Creek watershed is far outweighed by the risks." When Times Free Press reporter Ben Benton wrote a story about Mounger's and Heartland's outreach earlier this week, Forest Service officials didn't respond to a Times Free Press request for comment. We hope that's not a bad sign. We hope also that the Forest Service will be interested in talking and working with Mounger and Tennessee Heartwood.